Constance Zanfagna Kinson, a longtime resident of Lawrence and Methuen, weeks short of her 99th birthday, passed away peacefully at the High Pointe Hospice House in Haverhill on August 27, 2018. The daughter of the late Salvatore and Dorothea Musumeci Zappala, Connie was the widow of the late Vincent J. Zanfagna (1944), Anthony P. Zanfagna (1985), and Basil Kinson (1995). Born at home on Newbury Street in Lawrence, Connie graduated at age 16 from Lawrence High School with the Class of 1936. She worked in retail at Rook's Furriers and Russem's Clothing, and later as the bookkeeper at the family-owned Playstead Zynal Pharmacy. After working at the IRS for twelve years, she retired in 1982. Connie and her family cherished many summers at the home she and Tony built in Seabrook Beach, NH. An avid and excellent cook, Connie loved cooking all of the Italian specialties for her family and immensely enjoyed hosting Sunday dinners and holidays in her home with family and friends. Having enjoyed several trips to Italy, Connie appreciated her connection to all of her family relatives in both Catania, Sicily and the Caserta region of Italy. She loved to crotchet and made afghans for every family member. In her later life, at age 65, Connie became a prolific artist, painting in oils at the Lawrence Senior Center. She was a member of the Italian Women's Club and Sons of Italy and enjoyed attending their meetings and social functions. Connie is survived by her daughters, Diane Blake of Londonderry, NH, and Ann Marie Zanfagna of Holyoke; her son, Jim Zanfagna and his wife Chris Morton of Newburyport; her former daughter-in-law, Leslie Tucker of Newburyport; her granddaughter, Mara Zanfagna and her husband, Scott Selkirk, her two great-grandchildren, Harrison and Liliana Selkirk of Bermuda; and her grandson, Benjamin Zanfagna and his fiancé, Kali McKinnis of Exeter, NH. She also leaves her sister-in-law, Rose Petralia of Methuen; several loving nieces, nephews, and dear friends; she will be missed by many. Connie is pre-deceased by her son-in-law, Ric Blake; her brother, Charles Zappala and his wife Ann; and her brothers-in-law and their wives, Dr. Phillip E. and Edna Zanfagna, Otto and Anne Zanfagna; sisters-in-law, Eva and Lena Zanfagna; and brother-in-law, Samuel Petralia. Connie lived independently in Methuen until her final days. 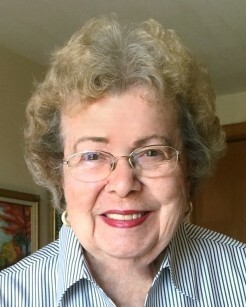 Her family would like to take this opportunity to thank her good neighbors and friends, especially Ellie Andrews, Sean Dugan, Anne Marie Brown, and Jim Blondin for the love and supportive friendship they consistently offered her. She also very much enjoyed sharing family stories with her beloved nieces, Jean Castonguay, Joyce Jordan, and friend, Jan Ethier on their Wednesday afternoon visits. Additionally, they would like to thank Kate Zehnter, Kate Faust, and Lynn Simone for their ongoing care and concern. Relatives and friends are respectfully invited to attend visiting hours on Sunday, September 2, 2018 from 11 am – 1:30 pm at Cataudella Funeral Home, 126 Pleasant Valley Street, Methuen. Following the conclusion of visiting hours, a Celebration of Life ceremony will be held at 1:30 pm in the funeral home. Entombment will be private and held on a later date at St. Mary's Mausoleum in Lawrence. In lieu of flowers, gifts in memory of Connie may be made to Home Health Foundation, 360 Merrimack Street, Building 9, Lawrence, MA 01843, designating one's support for the hospice residence, High Pointe House, where she received loving and compassionate care. Donation forms can be downloaded from the website, www.homehealthfoundation.org. Alternatively, memorial contributions honoring Connie may be made to the Ric Blake Memorial Research Grant at www.thyca.org.